Not only is motocross your hobby, it's also your way of life. The feeling of flying through the air, and riding through the dirt and mud, and crossing that finish line in first place is an adrenaline rush like no other! That's what motocross is all about. 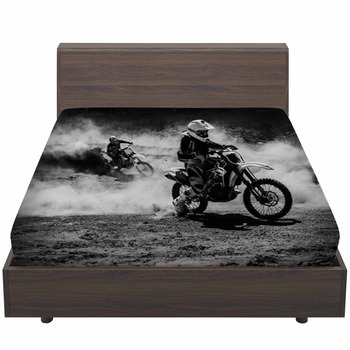 However it doesn't stop there, you want to complete your bedroom in the same moto cross style and with a bedding set showcasing motocross designs or your dirt bike! 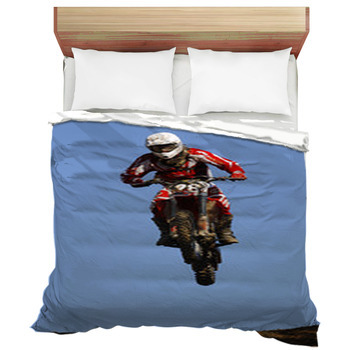 Vision's custom motocross bedding will last forever, with no fading, machine washable and super soft fabrics fit for a motocross superstar! 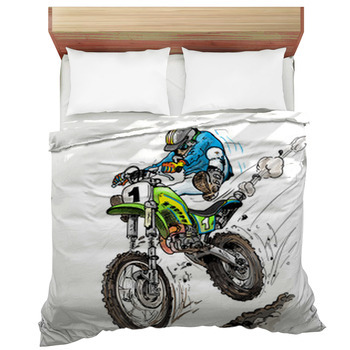 Hundreds of dirtbike designs to choose from for your bed sheets, duvets, or comforters. 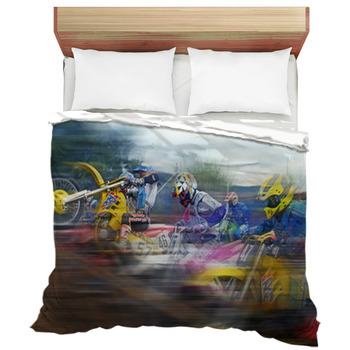 Or take any of your favorite motocross photos and create a unique bedding collage or just use your favorite photo and let VisionBedding turn it into an amazing custom motocross comforter or duvet cover by dying your photos directly into the fabric. 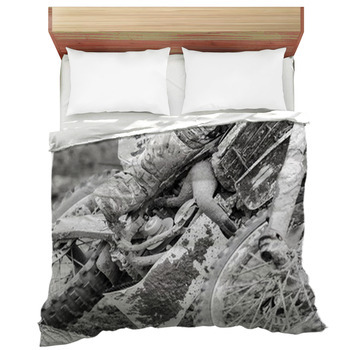 You will have bedding that you will find no where else and that features your very own motocross pictures. 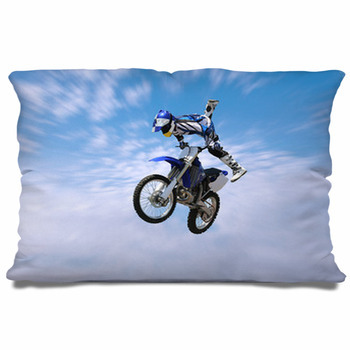 Finding the perfect motocross picture can be very hard or if you are just a motocross enthusiast, you may not have the perfect dirt bike picture to use. 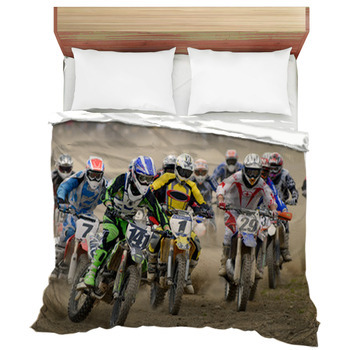 Don't worry, VisionBedding offers hundreds of motocross designs to choose from. And each one can be turned into the coolest personalized bedding set. 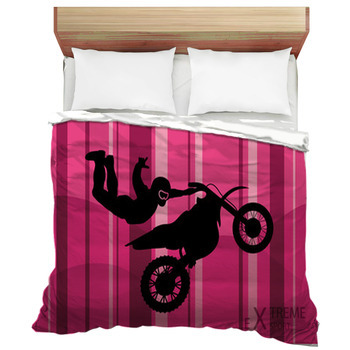 Add a text message to your design and you will have that personal touch to your bedding to match your cool style for your motocross themed bedroom. 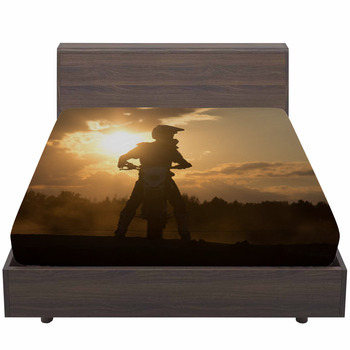 You want your room to be personalized and it should be a reflection of your personality and with custom motocross bed sheets featuring your favorite photos or a personalized design, it can do just that. 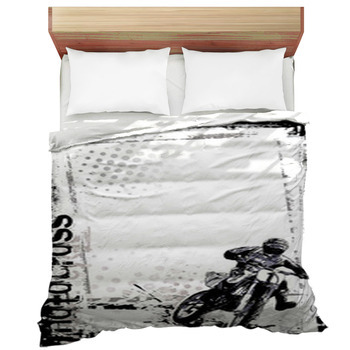 Although adding your new personalized motocross bedding to your room may be a perfect focal point, you may want to bring in complementary accessories to fit your style. 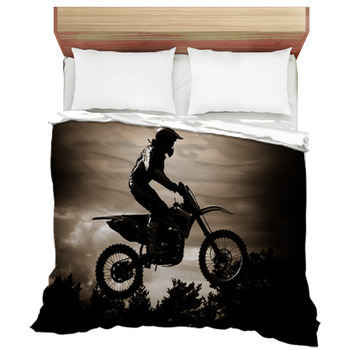 Pairing your bedding with unique lighting and a motocross rugs can be a great way to make it really stand out. 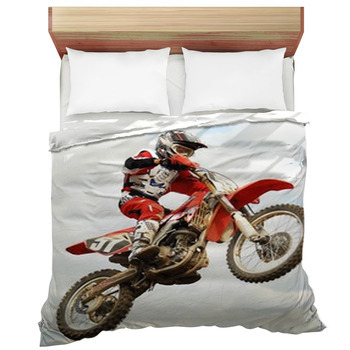 Accent your bedding, by hanging your motocross gear on a wall instead of in a closet to show off your true motocross enthusiasm! 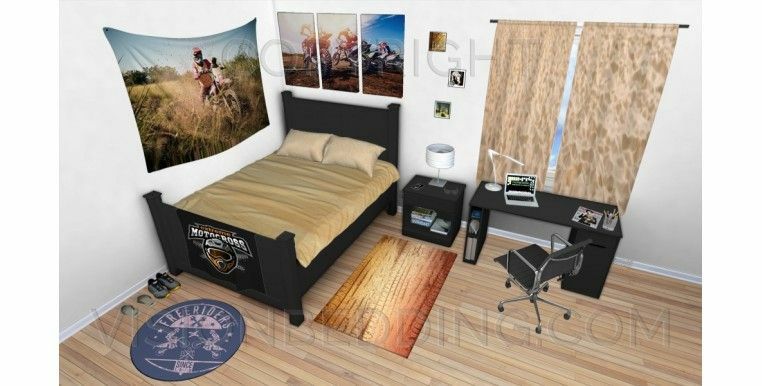 No matter how young or old, moto cross racing is the perfect way to decorate a room, especially when you design your room with unique personalized motocross designs.